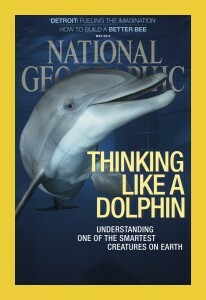 During the summer of 2013 award-winning photographer Brian Skerry joined the Wild Dolphin Project to photograph Atlantic spotted dolphins (Stenella frontalis) for an article by National Geographic Magazine on dolphin intelligence. Nassau is a survivor. At just two-years-old Nassau was attacked by a shark, which resulted in the loss of the tip of her dorsal fin. 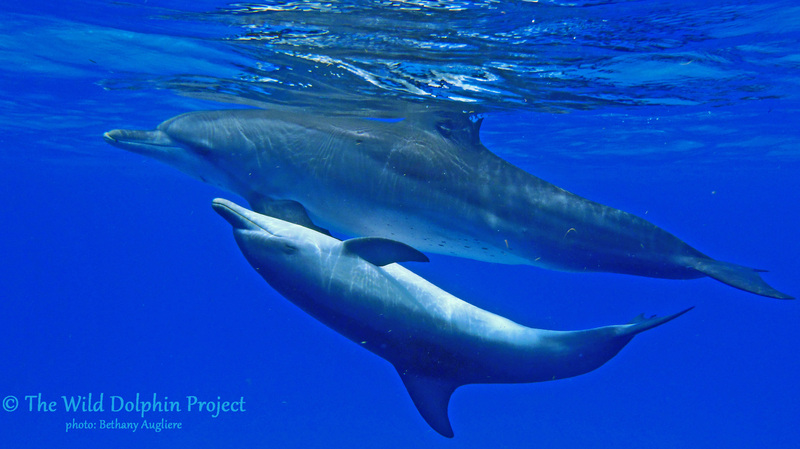 Young dolphins face many risks, including predation from tiger sharks. Average first-year mortality rate of calves is around 25%. Dr. Herzing saw Nassau one morning and then later that day saw her again, with the fresh wounds. She is lucky to have survived an attack at such a young age. Her pointless dorsal fin and scars makes her one of the more easily recognized dolphins, especially from the surface. Over 20 years have passed since that original cover photograph and shark attack. 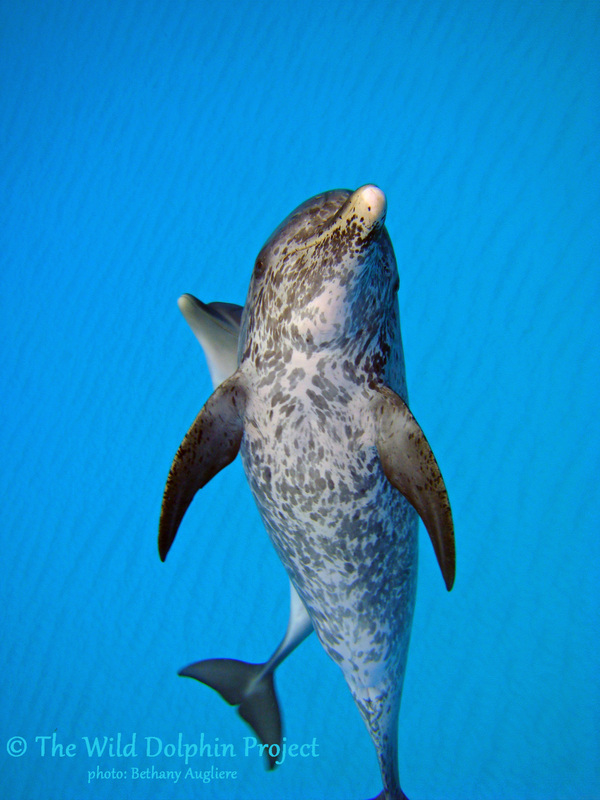 Nassau is now an adult and much more spotted (spotted dolphins are born solid grey and gain spots with age). She has had 5 calves, which makes her one of the more reproductively successful females in the community. 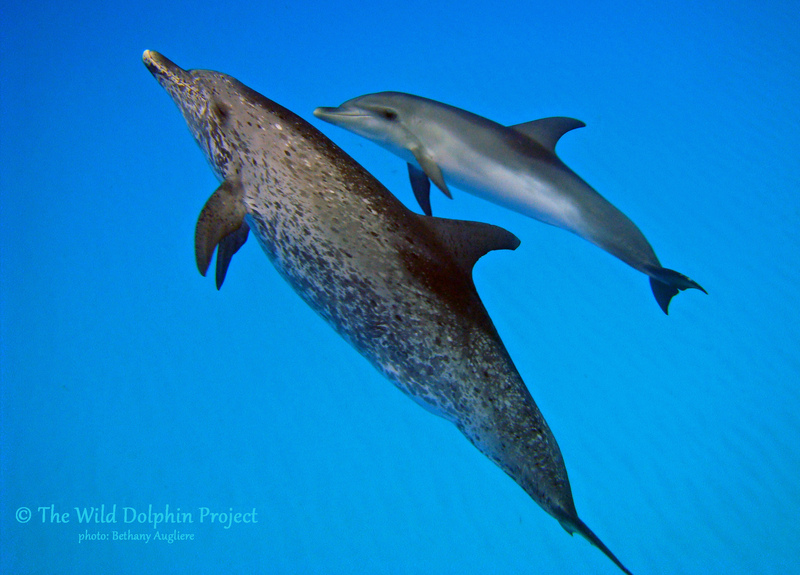 Spotted dolphins are pregnant for about a year, and have calves every 3 years. Nassau had her first calf, Neptune, at 10 years old, which is the average age when female spotted dolphins become sexually mature, though it can range from 8-15 years old. These days, Nassau is often seen in the company of her two female offspring, Noldus (10 years old) and Nereide (5 years old) as well as her newest calf, a little male named Nautilus who is still nursing. These young females will stay with their mother to help babysit and gain experience for when they have calves of their own. 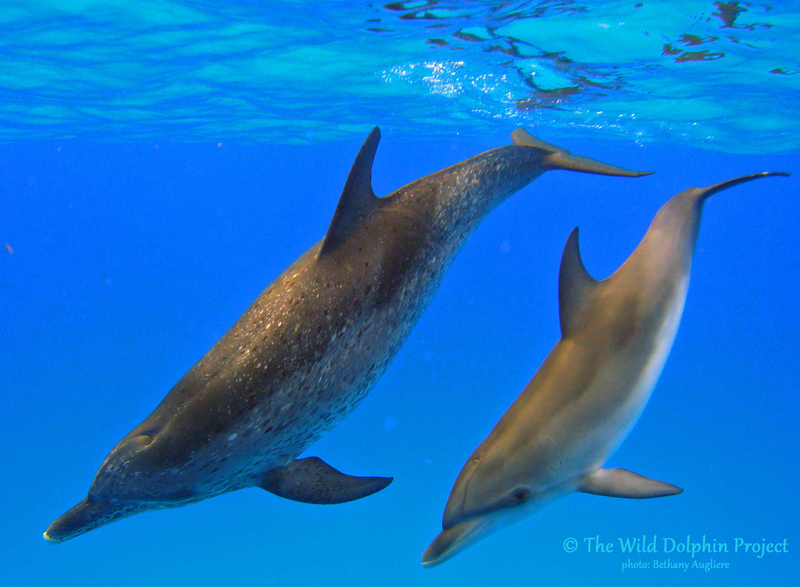 Female spotted dolphins often associate with their family members and females of the same reproductive status. Nassau is frequently seen with her younger sister Caroh and her close associate Mugsy. Both Caroh and Mugsy have new males calves as well, Malachite and Cobalt. Together Cobalt, Malachite, and Nautilus seem to be a troublesome trio. It will be interesting to see if these young males who were raised together, eventually form a coalition as they become older. Hopefully we see Nassau and Nautilus this summer for the 2014 field season! Check out Brian Skerry’s National Geographic Proof on Nassau.